"Nothing like it! Simple to use and awesome reporting. " It takes <5 min to set up and instantly starts working - You get to collect data and make changes in real time! I also really enjoy seeing the 'Search History' and being able to view what users are looking for so you can create the content that they want. Nothing yet... Definitely excited to see what they add to the product in the future! It's an amazing tool to help better understand your website visitors and increase both engagements and conversions. Customer Support, Customer Insights + Reporting, Call-To-Action, and Analytics. It save me a lot of time in reviewing my websites performance and content. 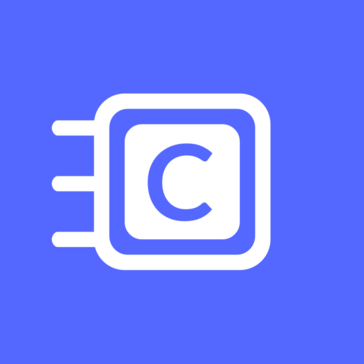 ChipBot allows you to quickly change content on your site, guide the user, provide them content, allow them to send feedback, etc. All while collecting tons of user-behavior data. "ChipBot helps improve browser experience on my website. " ChipBot adds positive user experience to my site and encourage interactions. This is important because my business requires connections with customers. No dislike so far. The more I explorer the possibilities, the more I think it is a good product. Being a startup, ChipBot is an inexpensive way to engage with potential buyers. One of the benefits is the instant interaction with the browsers. Another is a fast way to get answers. * We monitor all ChipBot reviews to prevent fraudulent reviews and keep review quality high. We do not post reviews by company employees or direct competitors. Validated reviews require the user to submit a screenshot of the product containing their user ID, in order to verify a user is an actual user of the product. Hi there! Are you looking to implement a solution like ChipBot?